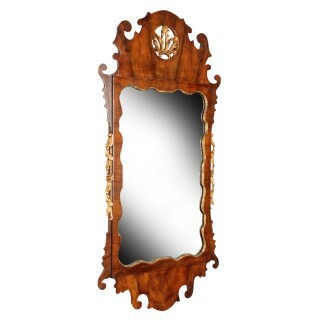 An early 20th century George II style wall mirror. 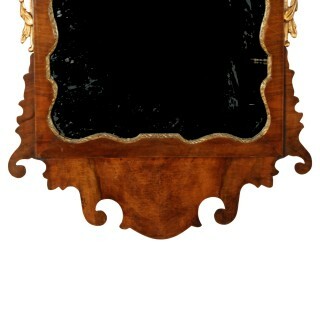 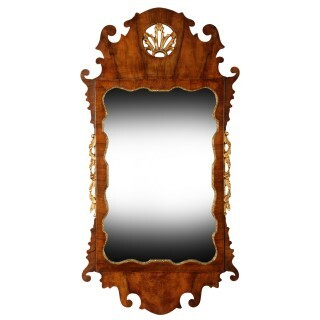 The mirror has a walnut veneered frame with a shaped and gilded inner edge. 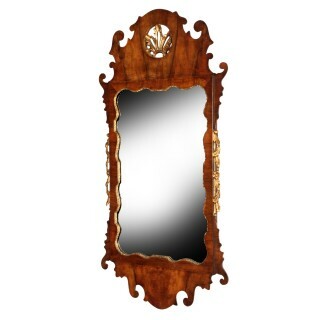 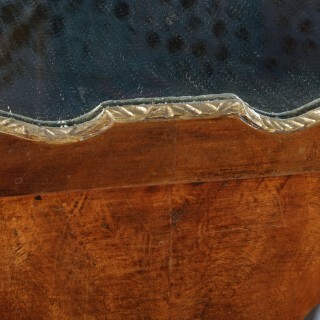 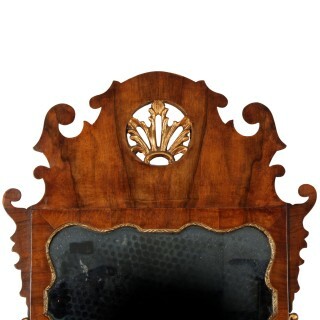 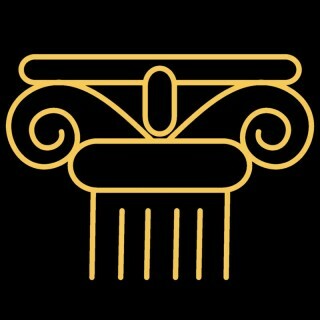 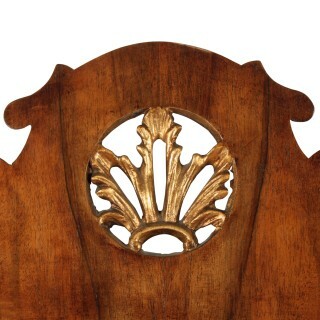 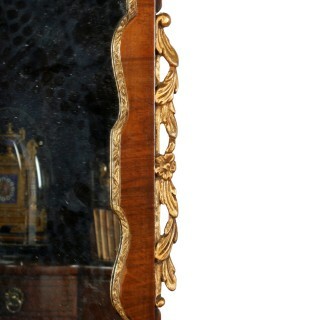 The shaped top of the mirror has an open carved and gilded acanthus as do the side scrolls.